One of the most common requests I receive is to show people things that are off the beaten track. Whether the clients are Israel tourism veterans who want me to surprise them with something new, or first-timers who just want to visit something they’ve never even heard of, I love the opportunity to take tourists to “unknown” spots. Taking you somewhere you’d never have visited on your own is one of the best things a professional guide can do for you. One of my favorite examples of this was a trip I guided a few months ago with a Greek Orthodox family from Australia. 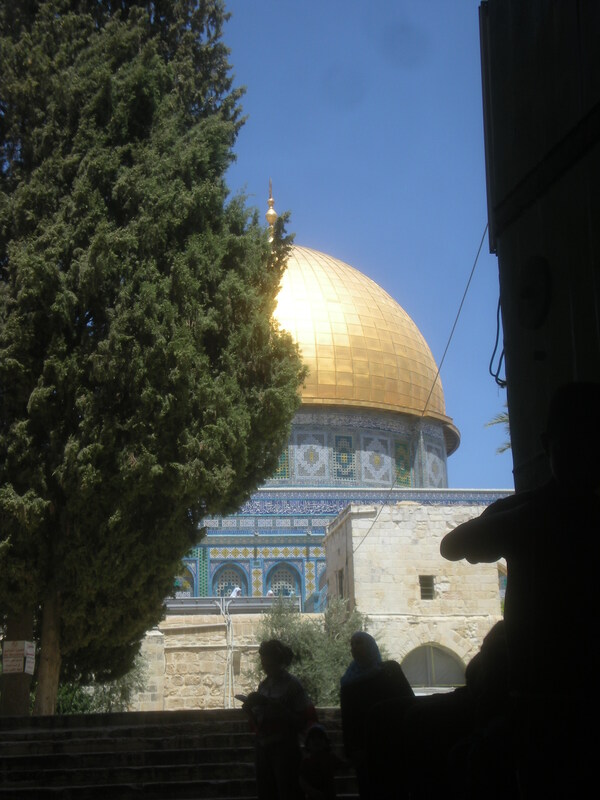 They wanted to tour Jerusalem, visiting many of the standard sites important to Orthodox Christianity. The Cotton Gate, in the Muslim Quarter of Jerusalem’s Old City – another “hidden gem” I bring my tourists to. They’d read up a lot in advance, and knew what the important sites were. Or at least they thought they did. While there are many churches at the top of the Mount of Olives associated with Jesus’ ascension to heaven (Russian Orthodox, Protestant, Catholic, etc. 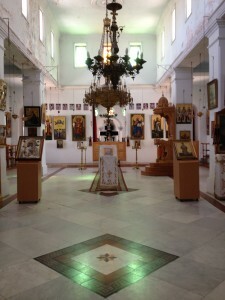 ), one of the least-known of such sites is the Viri Galilaei Greek Orthodox church. Walking through the small metal gate, down the long road that led us to the church itself, I could sense this family’s excitement. When they got to speak (in Greek) to the woman who opened the church door for us, and to give her their names for the priest to read at his next service, I felt their happiness. And as we moved on to the rest of our day, I knew I’d given them their money’s worth, bringing them somewhere special to them, and which they never would have visited on their own. Israeli tour guides don’t just live here. We are intensely focused on everything that is going on in this country. We know when one of the religions will be having a special celebration as much as we know when there will be a theater festival in Akko or a wine festival in the Judean hills. And most professional tour guides I know don’t just keep up to date on this stuff on their own — we belong to electronic forums and remain in close contact with our many friends in the same field. We share information with each other, keeping up to date on when specific attractions have closed for renovations, roads are closed and the like. These are things that no tour book can give you. They will tell you the regular opening hours, but there are simply too many special exceptions that crop up either regularly or on a one-time basis. For example, I’ll be guiding in the Old City of Jerusalem this coming Thursday evening, but I informed the group organizer something which he had no idea of in advance — the Jerusalem Knights Festival will be taking place the same evening. So I told him that the Old City will be more crowded than usual and the experience will be different than normal. With this information, he could choose to change the tour to a different time or place. He could also say, “Great, we love Medieval stuff!” Or at the very least, he will be able to prepare the rest of the group by letting them know they should expect an atypical Old City experience that night. Similarly, on a different trip, I suggested a rearranged itinerary to avoid the extra crowding and site closures due to a Christian holiday in the Old City. And another time I made sure my guests didn’t miss out on seeing the Lag BaOmer bonfires while they were here. Knowledge, they say, is power. Tour guide have more specified knowledge about Israel. Let us apply it to your benefit! Click here for Part 2 of this post! Excellent, we did the same topic in French. We added also security and insurance matters. I loved this post, I included a link to it from my website. Hi Oded, as good as always!